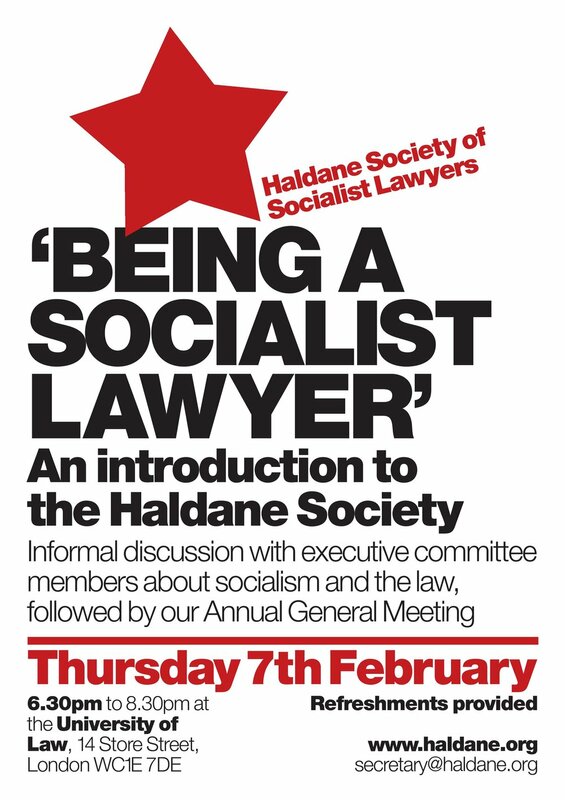 Members, comrades, and friends from across the movement are once again invited to the Haldane Society of Socialist Lawyers' Winter Party. Save the date of 13 December 2018 from 6.30pm till late. 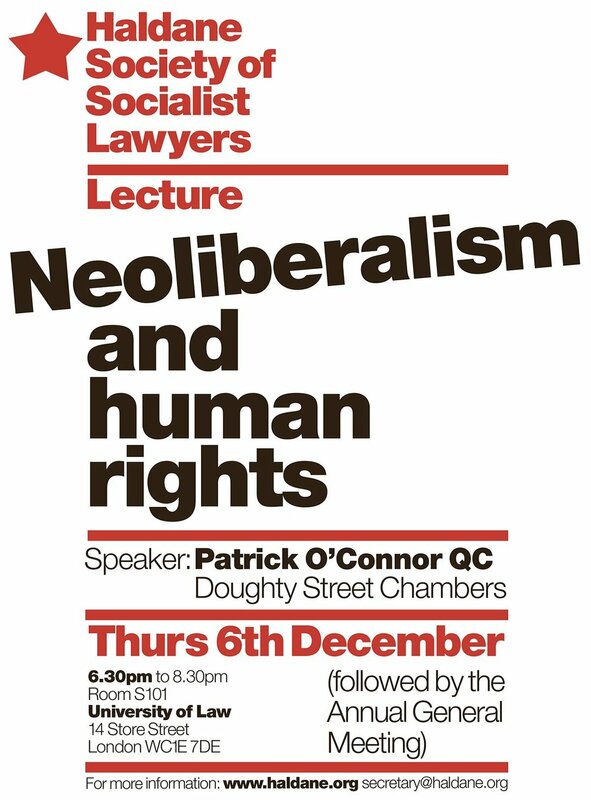 The party will take place at Garden Court Chambers, 57-60 Lincolns Inn Fields, London, WC2A 3LS (nearest tube Holborn). Food, drink, and entertainment will be included in the ticket price, which is usually between £10-£20. Discounted student and low-waged tickets will be available. Cheaper early bird tickets will go on sale soon at www.haldane.org, but tickets will be on sale on the door as well. The Haldane Society of Socialist Lawyers is proud to present the debut episode of our new Socialist Lawyer Podcast. The policy itself was declared unlawful in the case of R (on the application of Gureckis, Cielecki, and Perlinski) v Secretary of State for the Home Department, a case brought by Haldane Society members, and led by the Public Interest Law Unit. 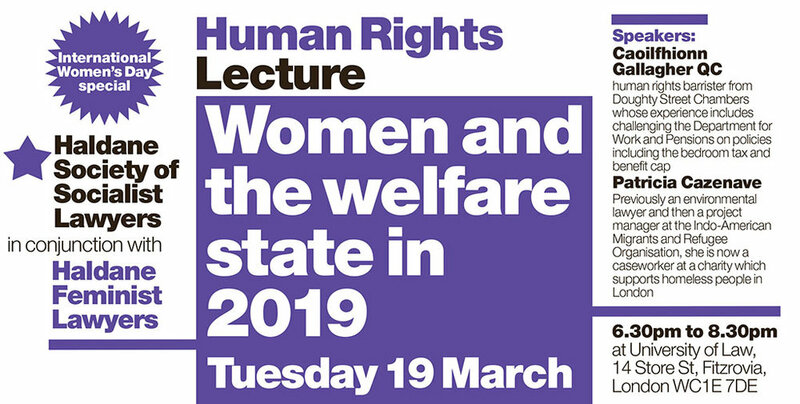 Its repercussions are still being felt, with homeless charities - St Mungo’s, Thamesreach, and Change Grow Live - who helped the Home Office implement their unlawful policies, now under investigation for data protection breaches. In addition, dozens of cases are being brought against the Home Office in order to pursue compensation for those who were detained and deported. The podcast is available from Soundcloud (below), and will shortly be available on iTunes.